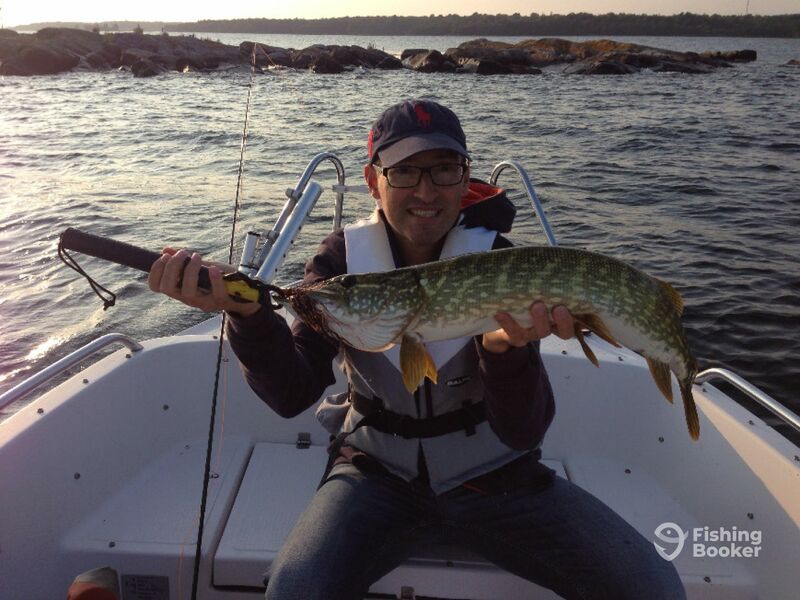 Partner up with Captain Bjorn Sperling of Blekinge Fiskeguidning for a fantastic day on the water! 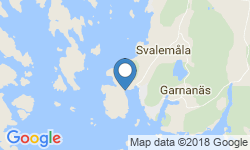 He is a local guide who’s been fishing in this area for over 40 years and he’s running half-day and full-day trips out of Simrishamn and Blekinge. You will come aboard a 16’ Ockelbo center console that is outfitted with a 50 HP Yamaha engine and can accommodate up to 3 anglers. The boat comes equipped with everything you will need for a great day out and it will be rigged specifically for the species you are targeting. Rods, reels, and tackle will be ready to use, as well as adequate lures for your prey. If you’re an avid flyrodder and that is your preferred technique, Capt. Bjorn will take you to the best spots and provide you with the equipment. 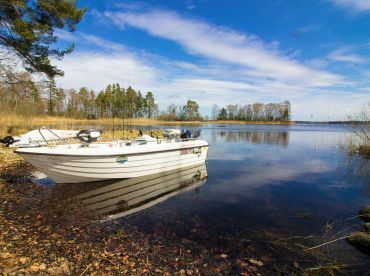 Drinks, snacks, and lunch are included in the price, so when you’re booking a trip with Blekinge Fiskeguidning, you’re signing up for an all-inclusive experience. When it comes to your catch, the captain will put you on the hottest Salmon, Pike, and Cod bite. 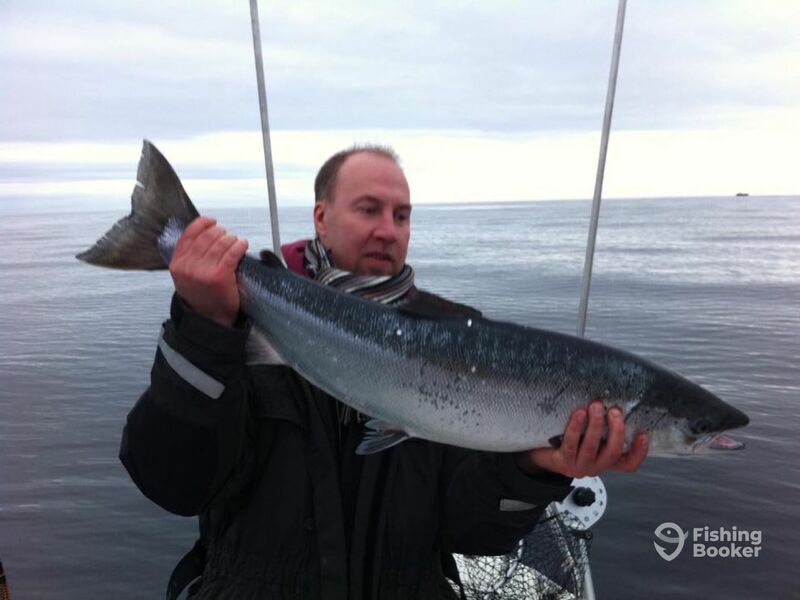 If you’re looking to snag your next Chinook record, then trolling in Simrishamn is the perfect trip for you. Among Salmon anglers, this area is known as Sweden’s best spot for saltwater trolling. If you’d rather focus on Pike, then Blekinge is the place to be. Fishermen from all over Sweden come here to the waters off Eriksberg, which are renowned for big Pike that lives there. Maybe you’d like to go on a fun family outing with your family, and if so, then Cod fishing expedition is the best pick for you. Depending on the species you’d like to chase, trips are available from May or June all the way through the beginning of October. Check the seasonality of the trips and choose when would be the best time for you in the given timeframe. Feel free to come with your kids or a group of close friends, and cast your line to catch something colossal! 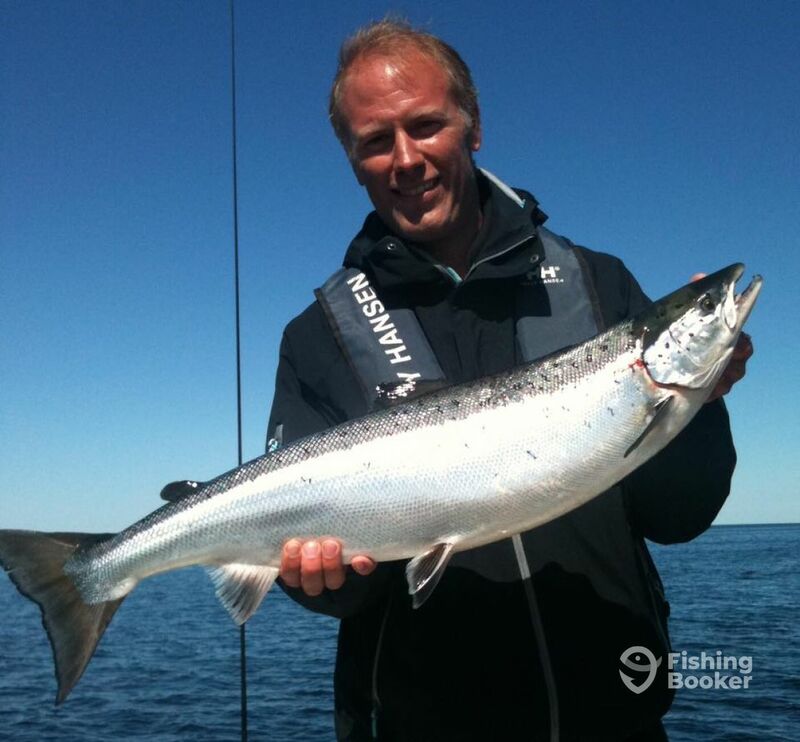 With this trip, you get a whole day on the waters around Simrishamn to battle and hook your greatest Chinook yet! Food, drinks, and fishing equipment are all provided for you, it's up to you to cast your line and reel as fast as you can when the time comes. 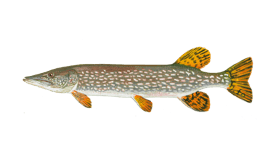 Spend 4 hours going after Northern Pike and get ready for some serious fishing action. 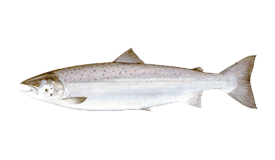 These fish are known to be great fighters and in this area, they come in impressive sizes. 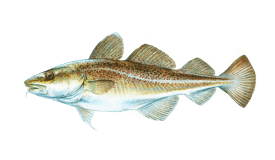 Why not spend one whole day on a Cod hunt? You will have an experienced captain by your side, great boat specifically equipped for your trip, and waters abundant in your targeted species. You will make lasting memories, fill your cooler, and come home tired, but happy. Going after Salmon is always an adventure, especially when you're looking to break your personal record. Half-day trips will put you on the trail of Chinook Salmon and if the conditions align, you will be going home with a big one. Maybe you'd like to have more time to cast your line on the bountiful fishing grounds to see how many Cod you can hook, and if so, this 4-hour expedition might be just what the doctor ordered. This trip is also family friendly and a lot of fun for all ages. Capt. 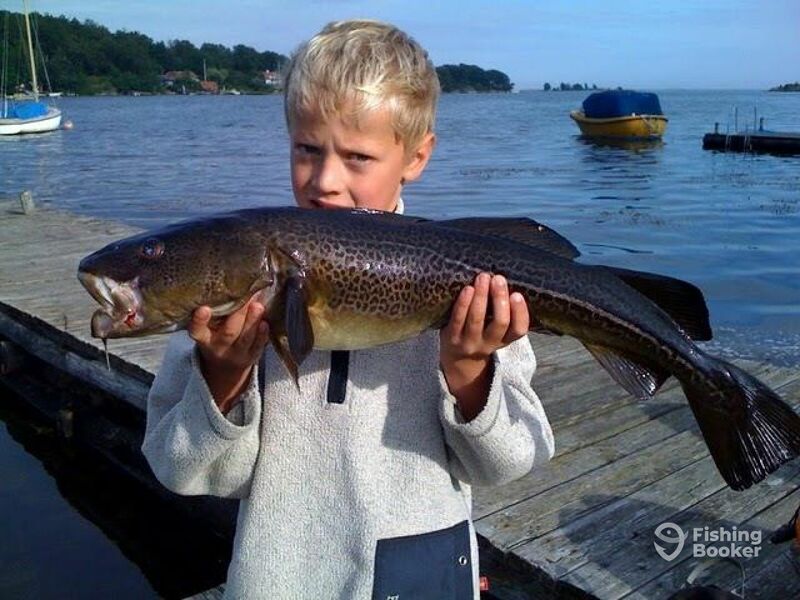 Bjorn will take you to the fishing grounds where Cod is abundant, and you will have about 3 hours to catch as many as you can. If you're an angling novice, this trip is perfectly suited for you. Ockelbo B16s (Center console) построена в 2006. Мотор – 50HP Yamaha мотор, максимальная крейсерная скорость – 25 узлов. 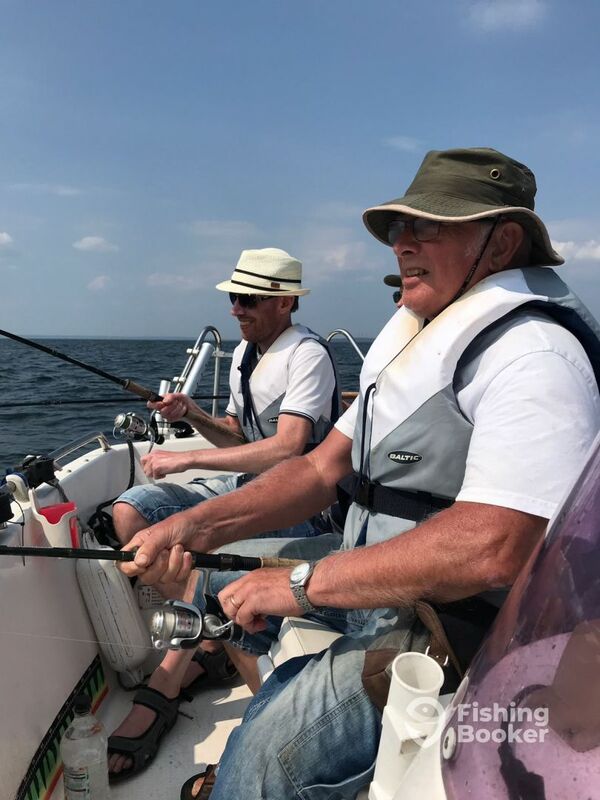 Captain Bjorn Sperling has been casting his line in the Blekinge waters as long as he can remember, and today he's got over 40 years of angling experience under his belt. He became a captain because he always loved being in nature, as well as showing people why fishing is so amazing and helping them catch their first fish or a new personal record.